The Redline Guiding starting lineup, L-R: Alvaro Marques, Liz Wyman, Arlette Laan, Bill Robichaud, Carl Herz, Ken Hodges, Mike Kaminski, and Barb and Mike Cherim. One member, Howard Aronson, was unable to attend our meeting. 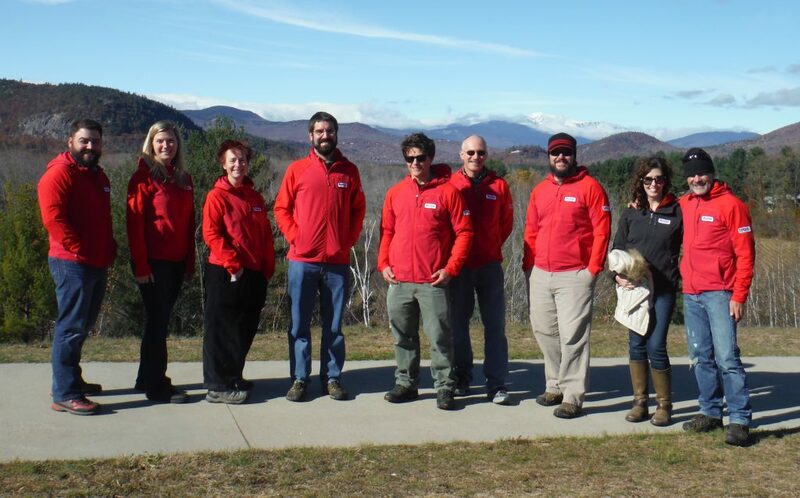 This is the fine team that will be leading folks into the White Mountains this year. If you check out their bios we’re pretty sure you will quickly realize that whatever you’ll be doing with us this season, you will be in terrific hands. Safe and well-cared for by people who truly know their stuff. There will be more to come about these folks in the future, but for now, say hi to the Redline Guiding Team.